Brace yourselves, Deadcember is... oh, well... never mind. It's here early. I've been putting aside undead(ish) stuff for a while, figuring I would get to it in Deadcember. What little free time I have had has been mostly agonizing over other stuff. About 11:50 pm, Black Friday, November 25.... close enough. I'm not sure how much time I will get in December, so I figured I would enjoy a little late night painting while I can. 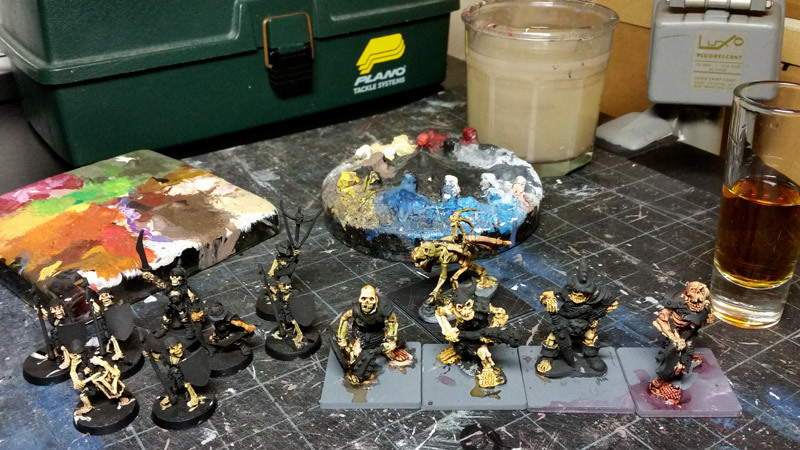 Just base coats and initial washes on the bones. But it's a start -- an early start. Like some sort of Disney, Black Cauldron mash-up. 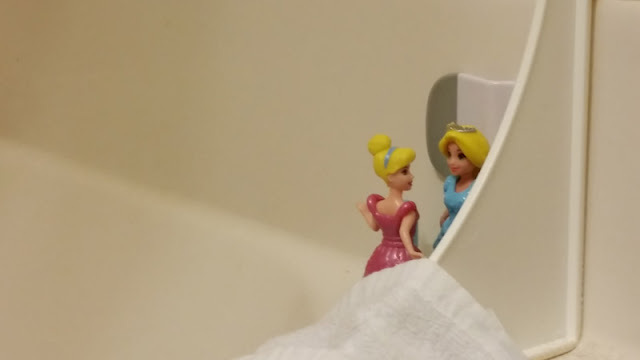 So even Disney Princesses have to go to the bathroom with a friend?! It looks like they are whispering something rude about me while I'm using the bathroom. Haha. I've got more photos of funny doll poses I've randomly found. I should post a set. I've seen the Tom Meier figures, and have wanted an excuse to get the Slug Eat Your Face figure from that range. Have you seen the Fairy Meat figures? I also saw someone on LAF has a range of My Little Pony lead, if I wanted to branch out into my daughter's other interests. I would love to see you transform one of those Princesses into a flesh golem or zombie queen. It would make them slightly less creepy.